"Photographer. Rustan. Date: 1957-10-05. Reporter: Thackrey. Assignment: Polish Premier. 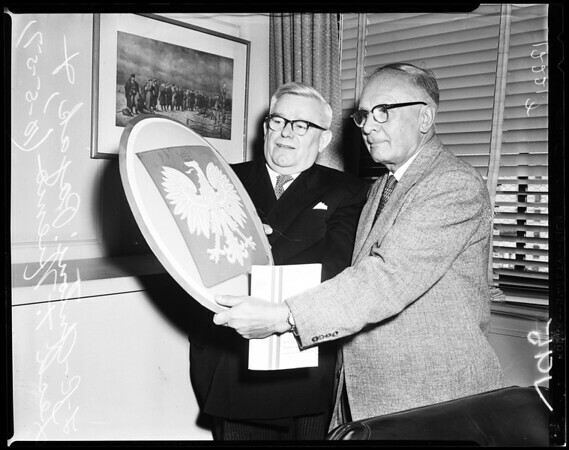 96-96: (left) Antoni Pajak, Prime Minister of the Polish Government-in-Exile, and (right) Lech T. Niemo, Polish consul and honorary president of the Friends of a Free Poland, in Niemo's office. Prime Minister's on a U.S. tour".